You will need a good sauce pan, and a lid. Don’t use a thin sauce pan you picked up from an old room-mate or acquired after someone left it behind. A thin bottom sauce pan will tend to burn just about anything you put into it. 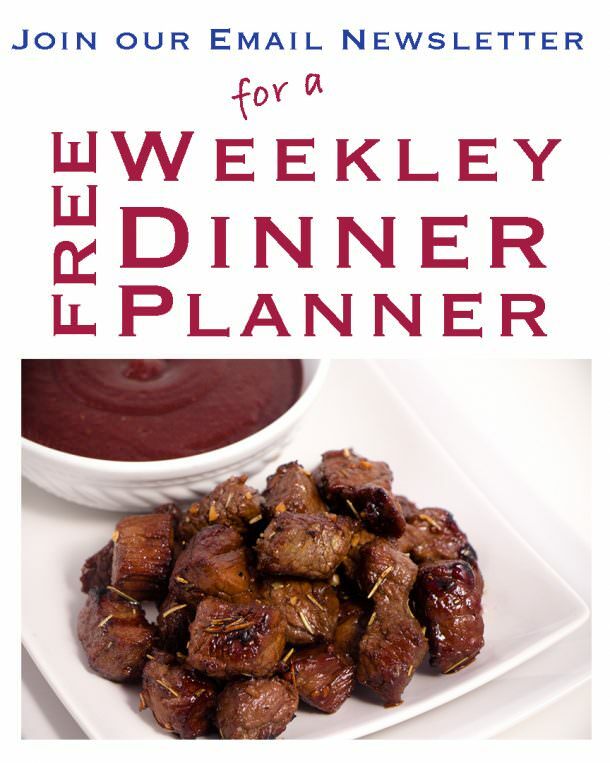 It will leave you frustrated in the kitchen and that is something we are trying to avoid. Cooking isn’t meant to be difficult or a chore. It’s meant to be enjoyed, not only the process of preparing food or a meal but the opportunity to sit and visit with friends and family while enjoying something you made. 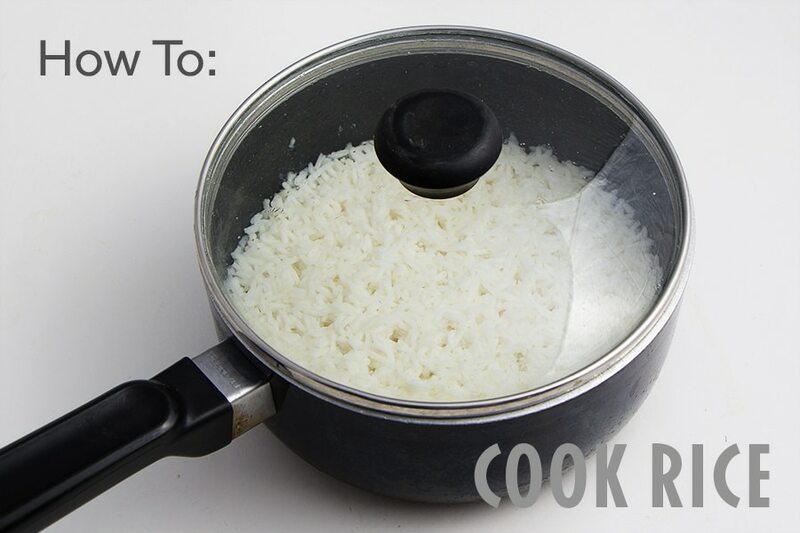 2:1 Ratio Rice is always cooked in a 2 to 1 ratio. Simply put: 2 cups water (or liquid) to 1 cup rice. That will give you 3 cups of cooked rice. 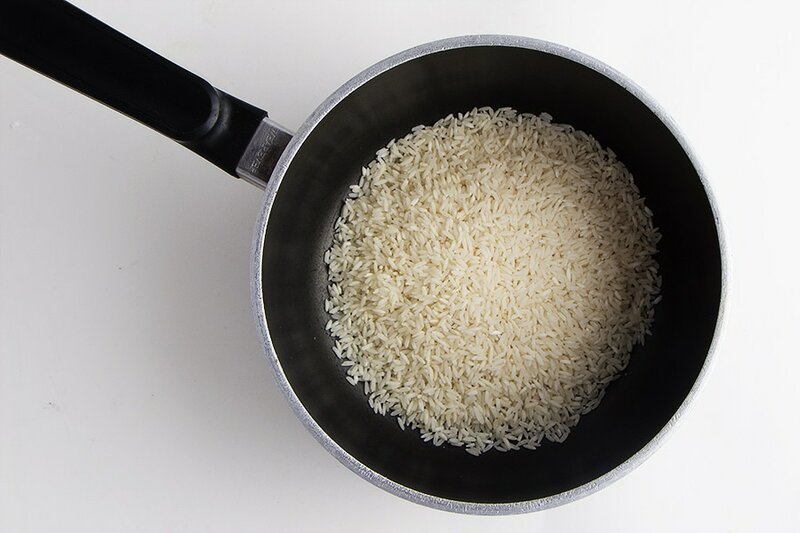 If you want 6 cups of cooked rice, you will use 2 Cup Rice and 4 Cup of water (or liquid). Of course you can also half it and do, 1 1/2 cups rice to 3 cups water and end with 4 1/2 cups cooked rice. Pretty simple huh? To Rinse or Not to Rinse? It’s a personal preference at this stage. 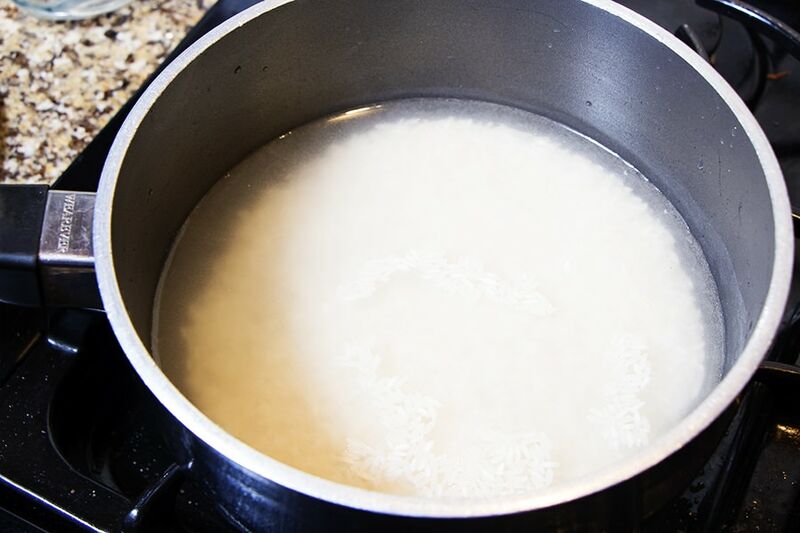 Washing rice removes some of the starch from it. If you purchase the cheapest rice, it’s guaranteed that your rice has a lot of extra starch with it. Starch makes things thick, so removing the starch helps to loosen up the rice and it will be less sticky. 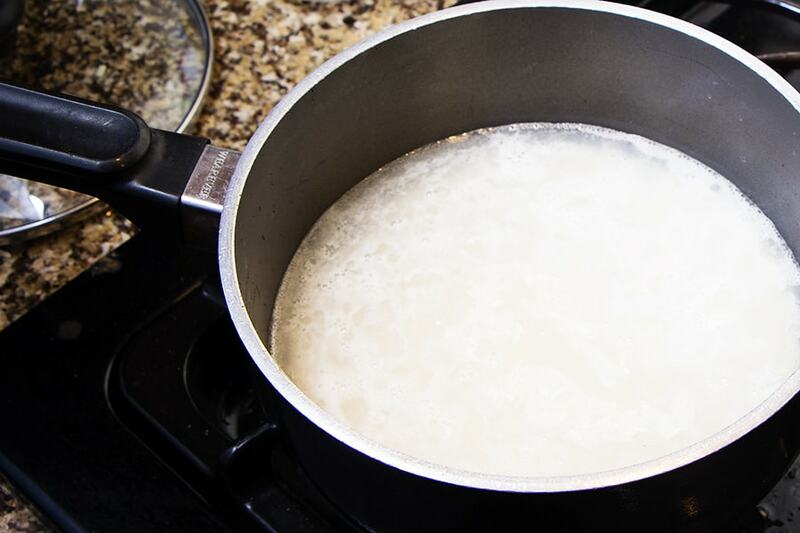 Rinsing your rice also helps prevent it from boiling over once the lid goes on it. 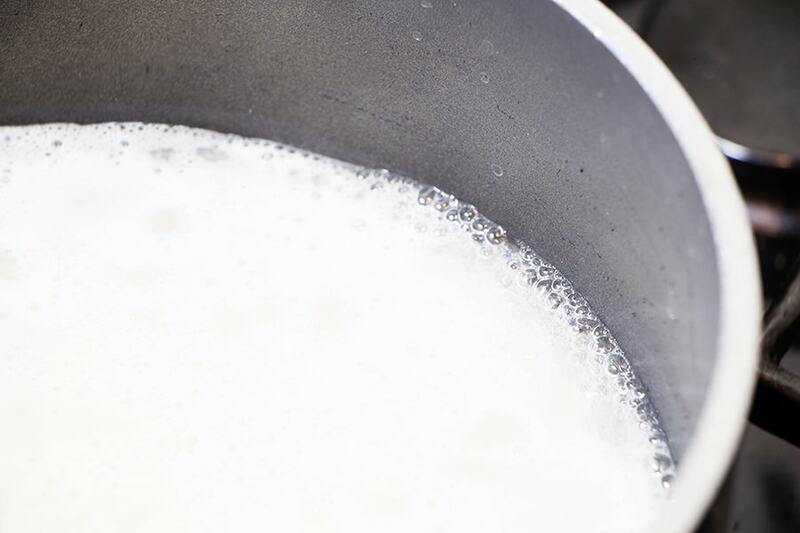 Place rice in saucepan with the water (or liquid) and a dash of salt and a dollop of butter. Cook over medium-high heat until it boils. Once it reaches a full boil, I put a lid on it and turn the heat down to low. That’s it! Now, set the timer for 30 minutes and do NOT remove the lid to check on it. This is where patience comes in. 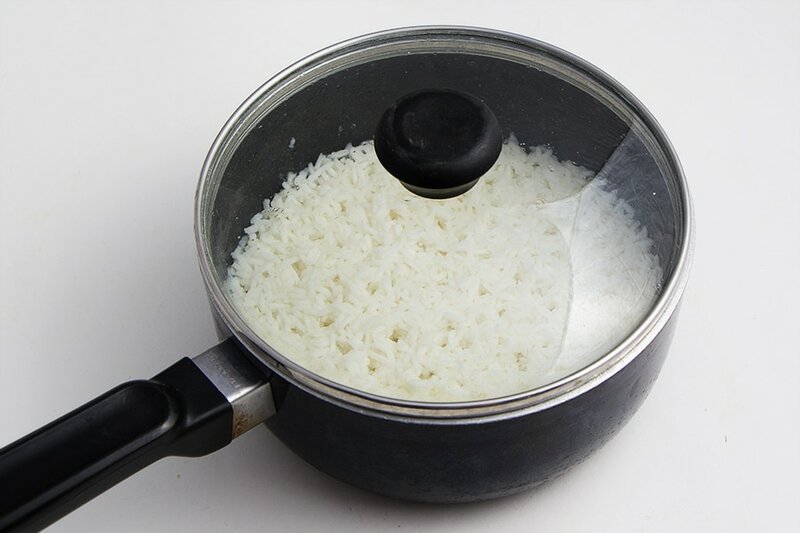 Removing the lid will allow the heat and steam to escape and your rice will end up a little hard. So hang tight and relax. Let the rice do it’s thing. 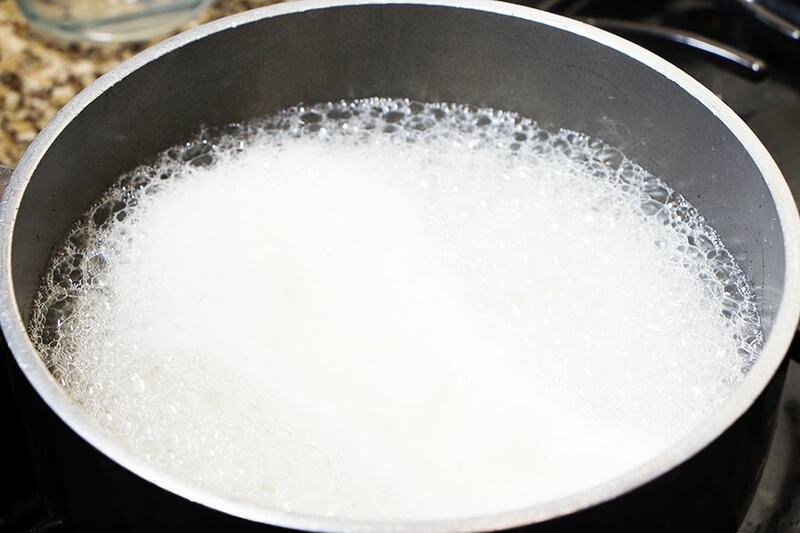 These are small bubbles, wait for the rice to come to a full boil before putting a lid on it. Wait until you get a full boil like the above picture and then put the lid on and turn the heat to low. After 30 minutes of sitting on low heat it will be done. You can fluff the rice with a fork and serve. 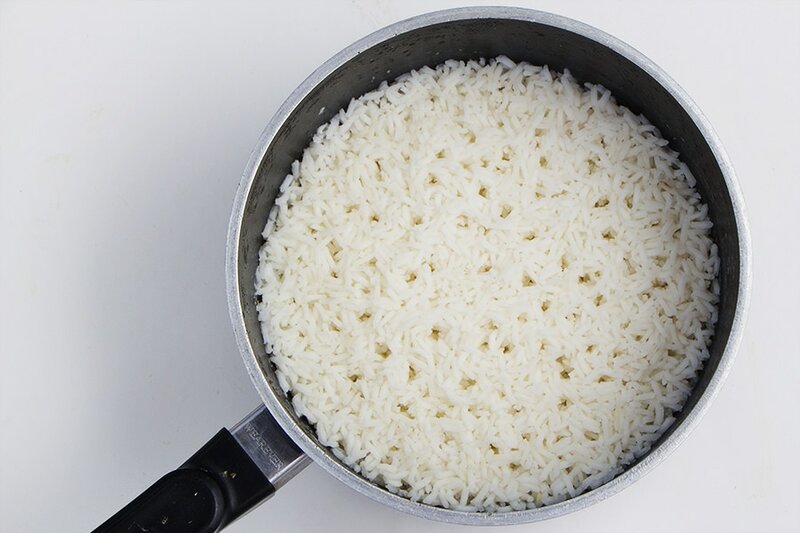 If you cook rice with a glass lid, you can see the process of cooking. It will form little holes where the water steams up through.